is back for the 10th year! 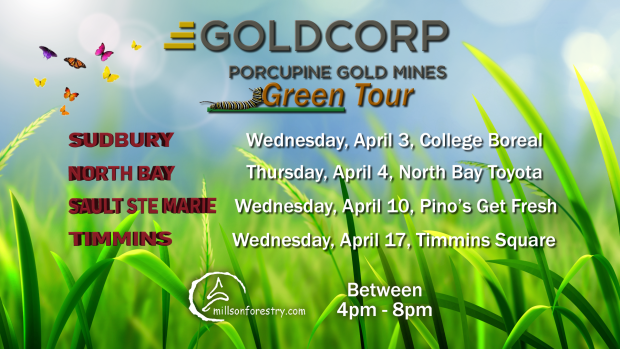 Weather Specialist Jessica Gosselin and local tree expert Muddy Mark will be touring around northern Ontario handing out free tree seedlings courtesy of Millson Forestry Service. 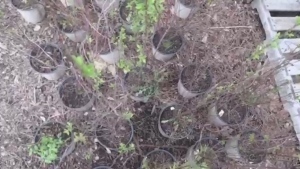 Over 10,000 trees seedlings have been given out over the last 10 years. 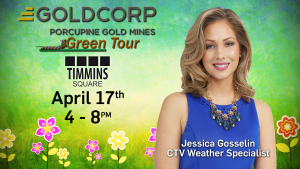 Meet Jessica and go home with a free Red Pine seedling! 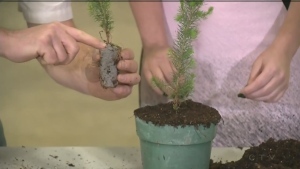 CTV Northern Ontario's Jessica Gosselin gets Muddy Mark from Millson Forestry to answers questions from elementary students about trees. 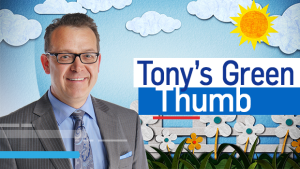 CTV Northern Ontario's Jairus Patterson takes us on a tour of Sault Ste. 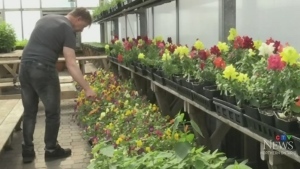 Marie's city-owned greenhouse that grows flowers. 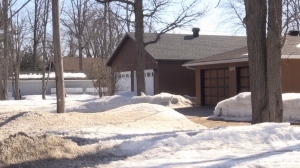 The conservation authority in the North Bay area discusses requirements for making changes to waterfront property. Eric Taschner reports. 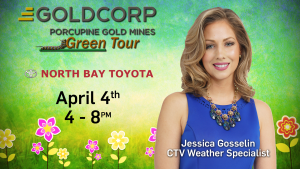 CTV Northern Ontario’s Jessica Gosselin live from the North Bay stop of the Goldcorp Green Tour with green initiatives in the car industry. 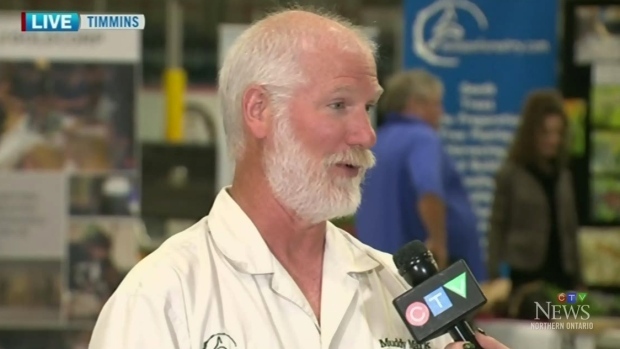 A Sudbury group is helping local businesses save money on their utility and fuel bills while saving the environment. Molly Frommer reports. 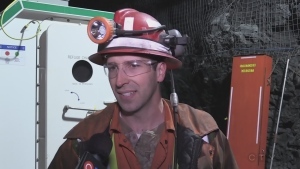 Timmins mining company Goldcorp is setting standards it will aim to meet in its current and future mines. Lydia Chubak reports. Muddy Mark shows Jessica Gosselin how to plant the Millson Forestry Service seedlings that are being given out on the Goldcorp Green Tour. 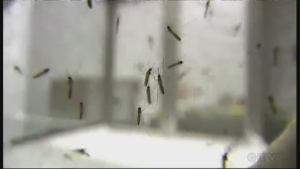 What can you do to control mosquito this season? Lincoln Louttit reports. Can a fungus help you live longer? 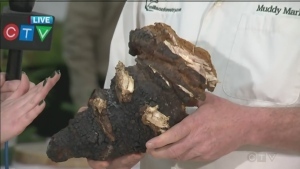 From CTV Northern Ontario's Jessica Gosselin: What is chaga and where can you find it? 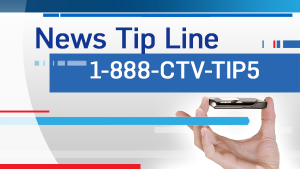 North Bay Mattawa Conservation Authority making efforts to stop shoreline erosion and run off. Joey Slattery reports. 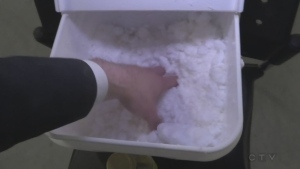 A Sudbury company shows off a new product that could be an effective way to clean up oil spills. Callam Rodya. 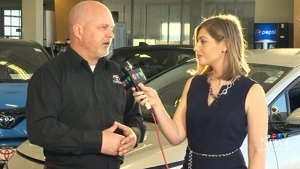 Muddy Mark from Millson Forestry Service talks to Jessica Gosselin.